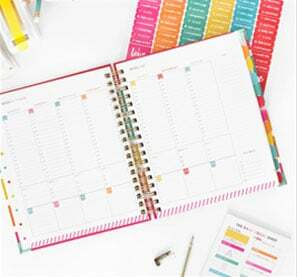 Last October The Nester wrote amazing series called 31 Days of Lovely Limitations, which was all about how much of the beauty in our homes can be found in the struggle we have with our limited resources. (It is a must-read!) I forget how much more creative I can be when I am forced to use what I have on hand or to stick to a limited budget. Too often I will head to the craft store in search of inspiration when all I really had to do was open a closet. 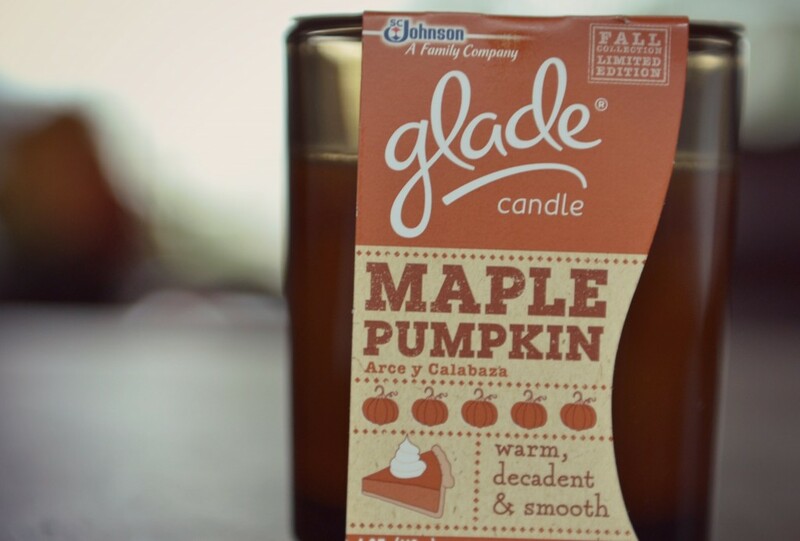 And, as luck would have it, in one of my closets I found a bunch of Glade candles that I had purchased for pennies apiece during some fantastic coupon shopping trip months ago. They smell super yummy but they are just a tad on the plain-jane side, so I thought I would get my craft on and jazz them up a bit. With Mod Podge, of course. Just because I can’t get enough of the stuff. Yes, I’m a freak. 1. 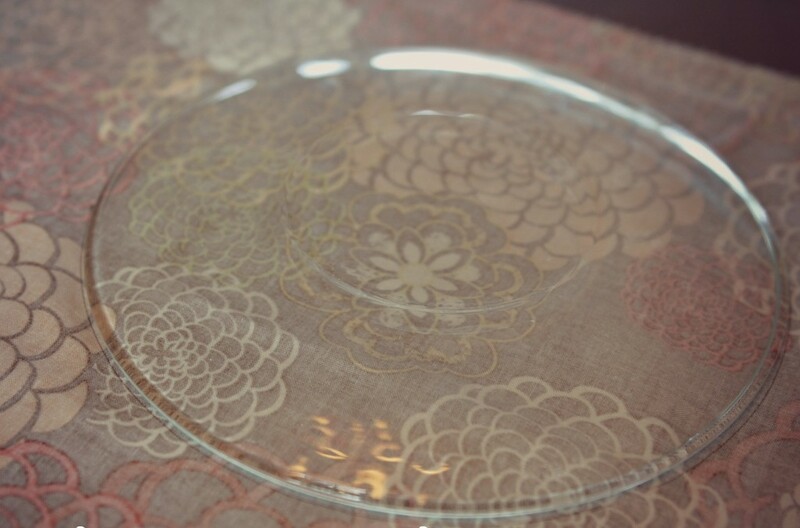 Trace a plate on the back of a pretty piece of scrap fabric, then cut out the circle. 2. 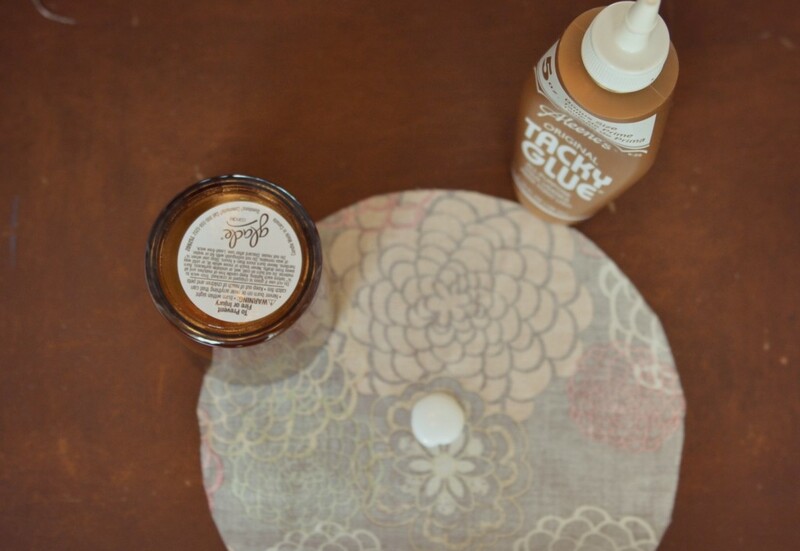 Place a dab of tacky glue in the center of the circle, then place the candle over the glue and press down. 3. 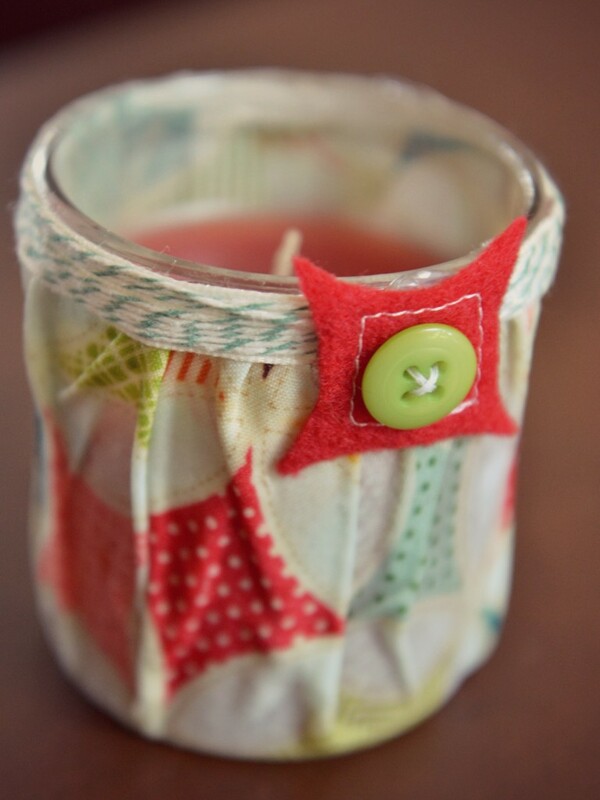 Make sure the candle is as centered as possible, and that the fabric is equal all the way around. 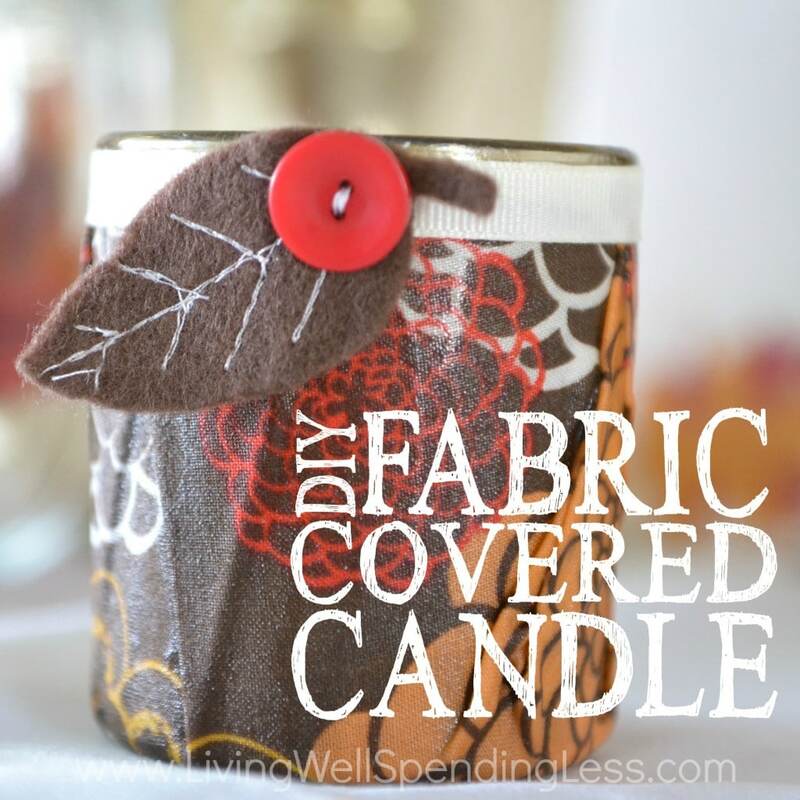 Brush the fabric with a generous covering of Mod Podge. 4. 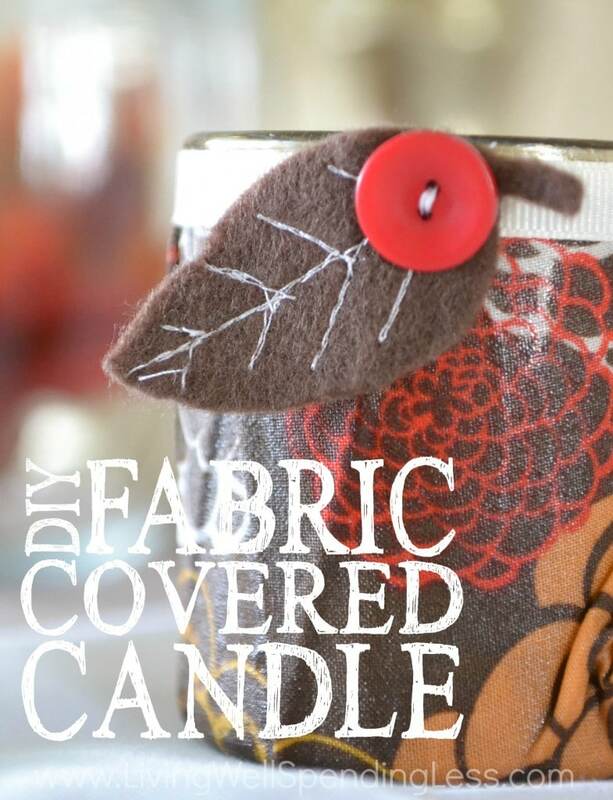 Flip the candle upside down, then bunch up the fabric so that it wraps around the candle. You could try pleating it in an even pattern; I kinda like the messy look. Brush over the top of the fabric with another generous coat of Mod Podge, making sure to get it in all the folds, then let it dry completely. 5. 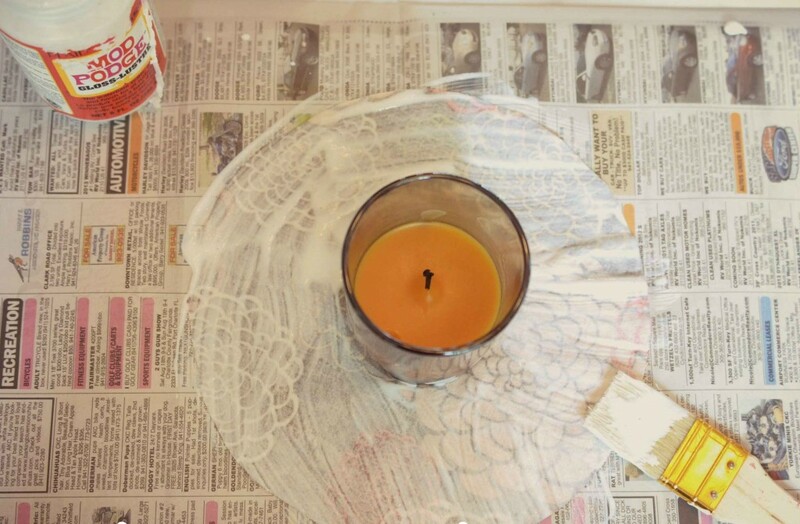 While the candle is drying, you can make the accent piece. 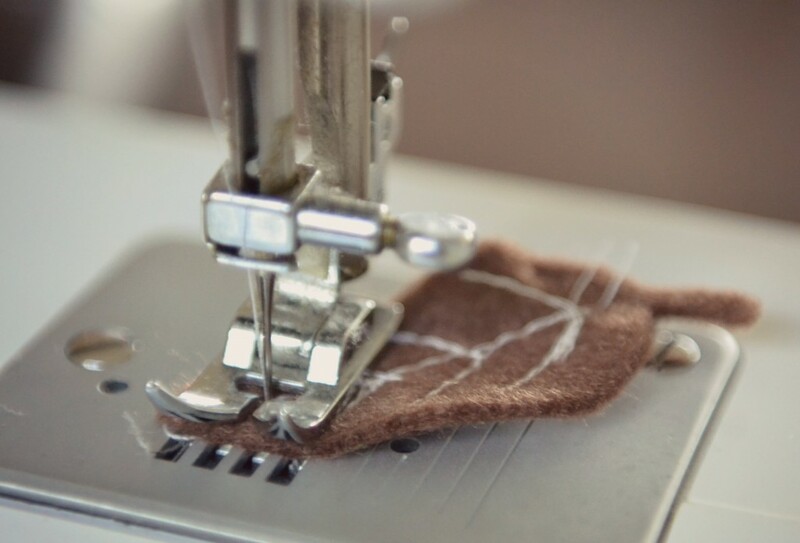 Cut a small leaf (or other shape to coordinate with your fabric) out of felt, carefully stitch the accent in a contrasting color, then hand stitch a button to the felt for extra cuteness. 6. 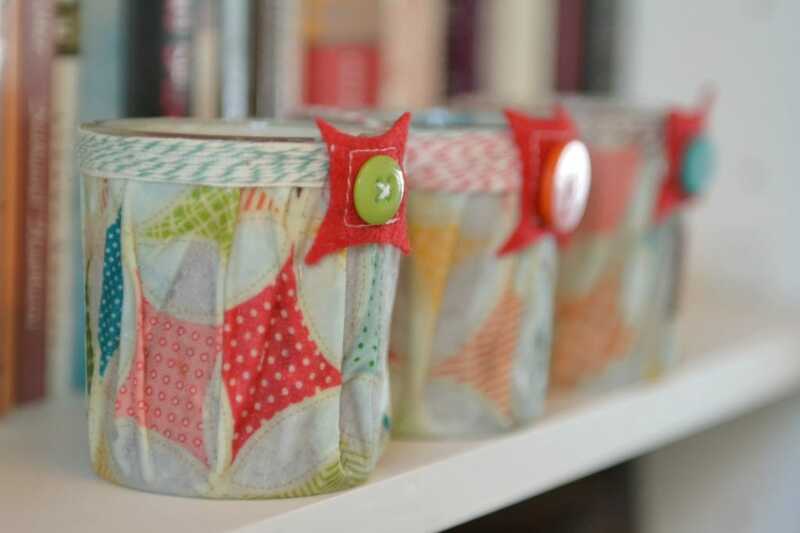 When it is completely dry, glue a piece of coordinating ribbon around the top rim, then glue your accent piece over the seam. Voila! SO easy! Oh my gosh, those are SO cute! I love the Anthropologie one! 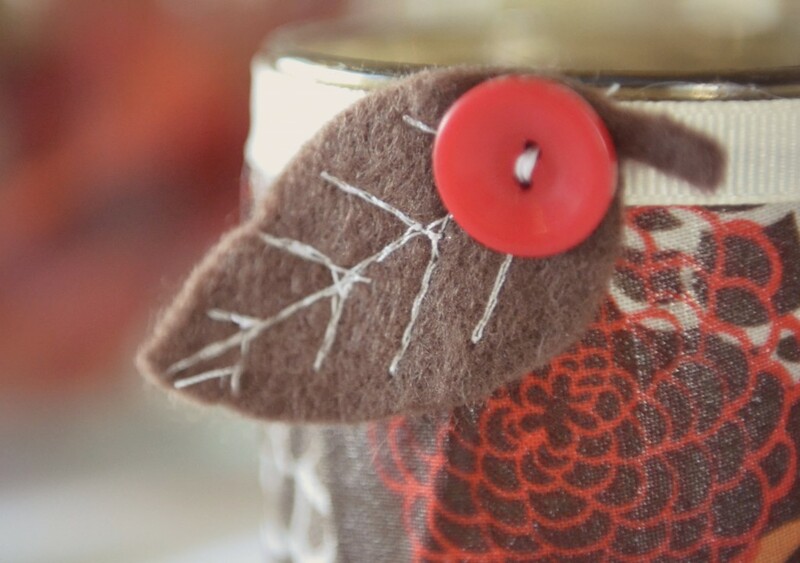 I am a mod podge fanatic too! 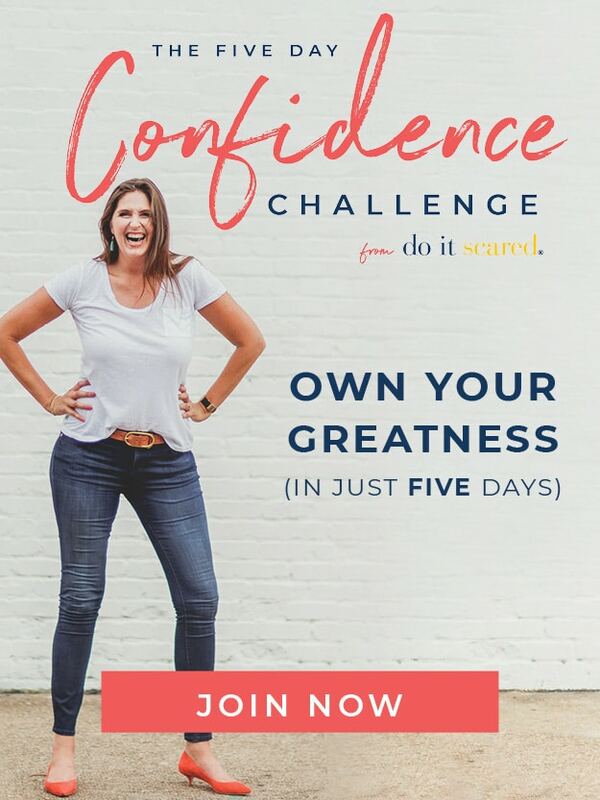 I’ve never tried making my own but now I want to try! Wow, those turned out so great! I think I might actually try this idea myself for teacher gifts this year. Thanks Ruth! 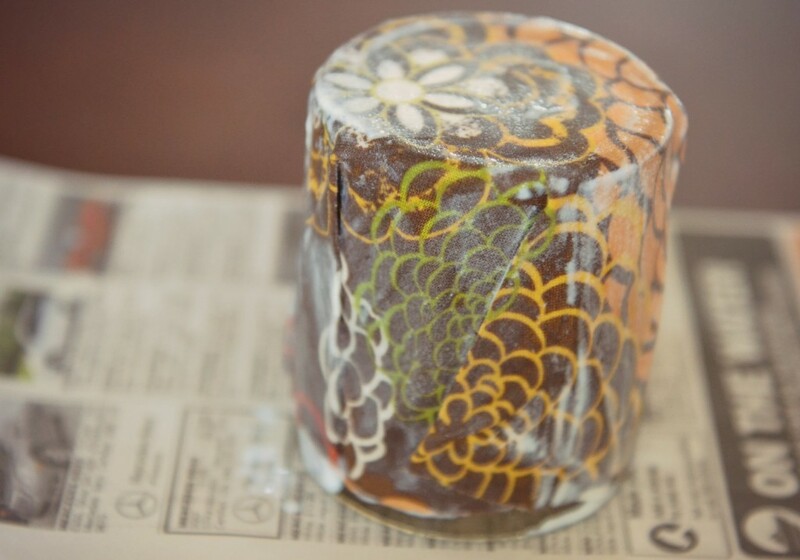 I had never heard of Mod Podge before I read your (& Ashley Ann Campbell’s ) blog. I don’t think it’s as commonly used here in England. I have looked it up on Amazon and there are just so many types I don’t know which one to buy!? Could you guys suggest which one to start with as there are so many ideas I would like to have a try at!